Amazingly, we know very little about Shakespeare’s life. 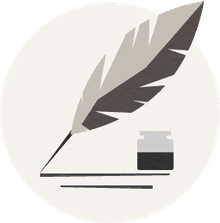 Even though he is the world’s most famous and popular playwright, historians have had to fill in the gaps between the handful of surviving records from Elizabethan times. Born and raised in Stratford-upon-Avon, England, but moved to London in the late 1580s. Shakespeare’s 37 plays and 154 sonnets are considered the most important and enduring ever written. 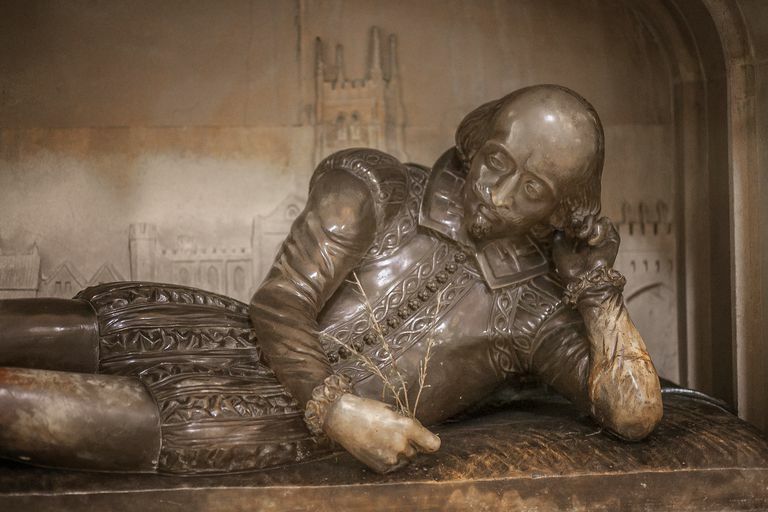 Although the plays have captured the imagination of theatergoers for centuries, some historians claim that Shakespeare didn’t actually write them. Shakespeare was probably born on April 23, 1564, but this date is an educated guess because we only have a record of his baptism three days later. His parents, John Shakespeare and Mary Arden, were successful townsfolk who moved to a large house in Henley Street, Stratford-upon-Avon from the surrounding villages. His father became a wealthy town official and his mother was from an important, respected family. It is widely assumed that he attended the local grammar school where he would have studied Latin, Greek and classical literature. His early education must have made a huge impact on him because many of his plots draw on the classics. Hamnet died in 1596, at age 11. Shakespeare was devastated by the death of his only son, and it is argued that Hamlet, written four years later, is evidence of this. At some point in the late 1580s, Shakespeare made the four-day ride to London, and by 1592 had established himself as a writer. In 1594 came the event that changed the course of literary history – Shakespeare joined Richard Burbage’s acting company and became its chief playwright for the next two decades. Here, Shakespeare was able to hone his craft, writing for a regular group of performers. Shakespeare also worked as an actor in the theater company, although the lead roles were always reserved for Burbage himself. The company became very successful and often performed in front of the Queen of England, Elizabeth I. In 1603, James I ascended the throne and granted his royal patronage to Shakespeare’s company, which became known as The King’s Men. Like his father, Shakespeare had excellent business sense. He had bought the largest house in Stratford-upon-Avon by 1597, he owned shares in the Globe Theater and profited from some real estate deals near Stratford-upon-Avon in 1605. Before long, Shakespeare officially became a gentleman, partly due to his own wealth and partly due to inheriting a coat of arms from his father who died in 1601. Shakespeare retired to Stratford in 1611 and lived comfortably off his wealth for the rest of his life. In his will, he bequeathed most of his properties to Susanna, his eldest daughter, and some actors from The King’s Men. Famously, he left his wife his “second best bed” before he died on April 23, 1616 (this date is an educated guess because we only have a record of his burial two days later).